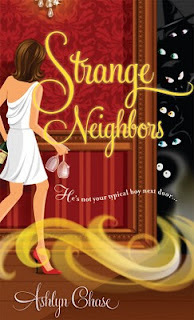 Psychotic State Book Reviews: The Winners of "Strange Neighbors"! Thanks to all who posted and shared their favorite paranormal being. I think Team Vampire took it - - but they are all fascinating! Congratulations, ladies! If you will forward me your mailing addresses, I will see that your new book gets out to you. Thanks to everyone who visited my blog and entered the giveaway. Again, I thoroughly enjoyed the comments and appreciate everyone taking the time to post here. Please stick around for future reviews and giveaways. Compliments to randomizer.org for picking the lucky winners.